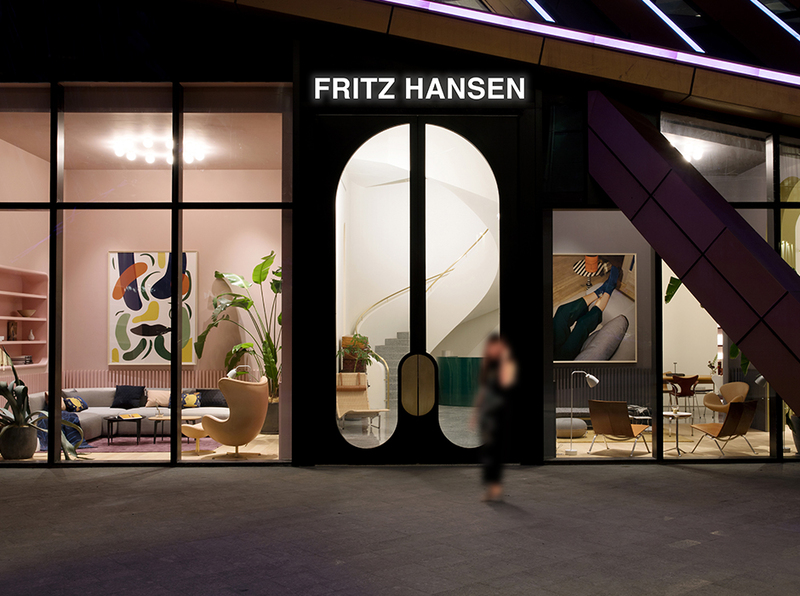 The Fritz Hansen gallery is located in Xi´an´´, the ancient capital city of China and the starting point of the Silk Road. 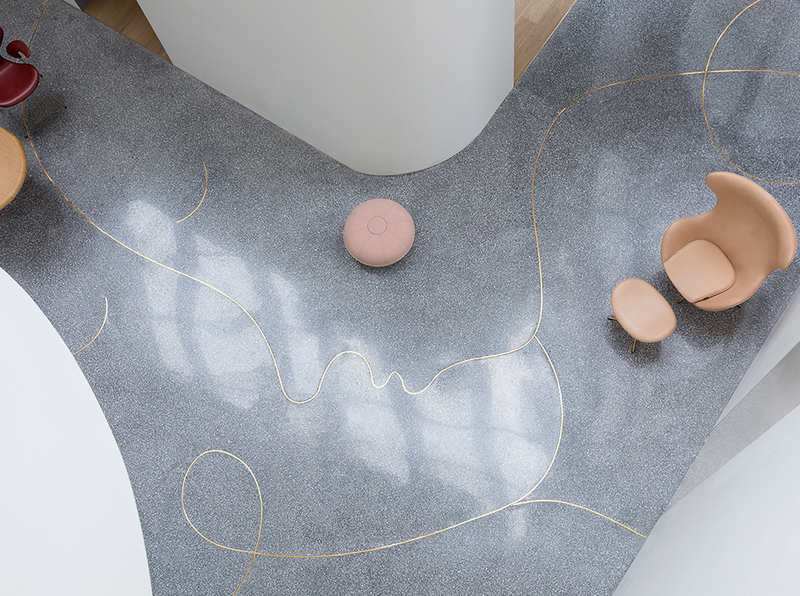 Jamie Hayon has brought a playful twist to the stores design in order to give a livelier art exhibition feeling rather than just a standard furniture store. His design also expresses that art is no longer a spiritual pursuit but a way to integrate aesthetic thinking into life. 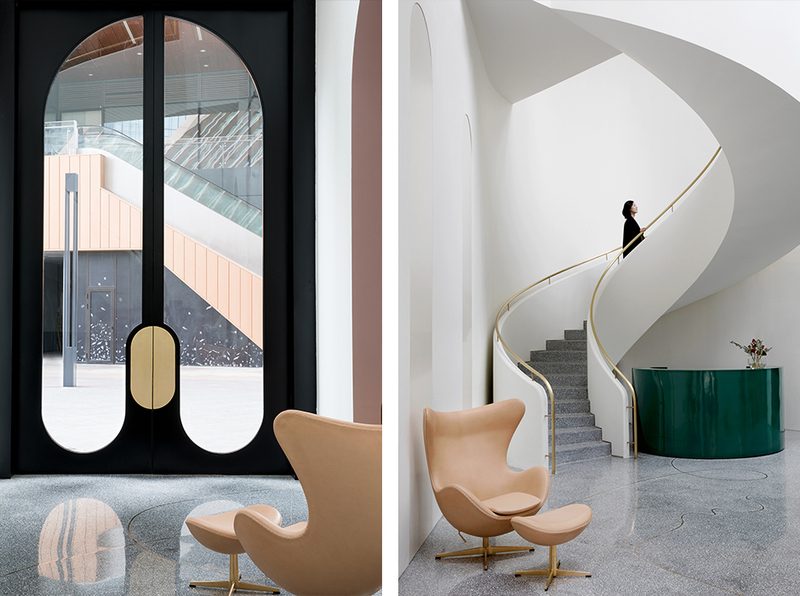 The store´s sculptural silhouette, large archways and grand foyer still maintains a cozy and relaxed atmosphere with its warm expression and rich, daring colors, with the overall intention to create an exceptional home-life experience. 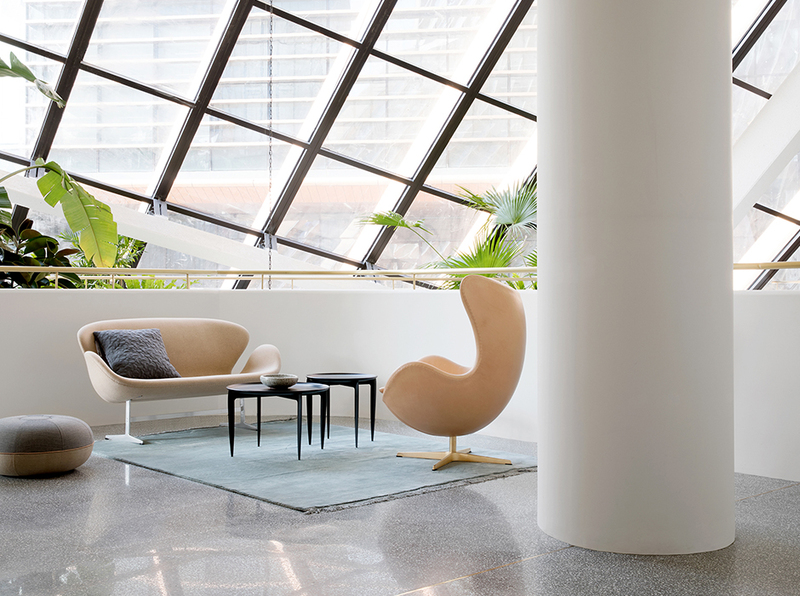 Fritz Hansen Gallery Xi’an´´ covers an area of about 1,000 m2 with two floors and is the largest Fritz Hansen store worldwide. 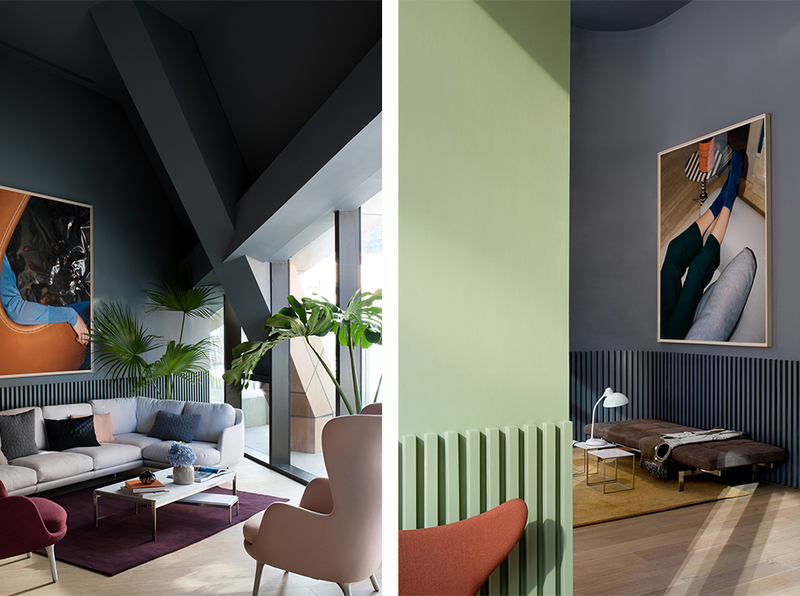 The space is divided into 14 experience rooms, each room having a different mood and feeling, aiming to inspire to create a new kind of lifestyle through beautiful and relevant design.